As a large city with a long history, Dublin has numerous historical landmarks, museums, in addition to theater, pubs, and shopping. 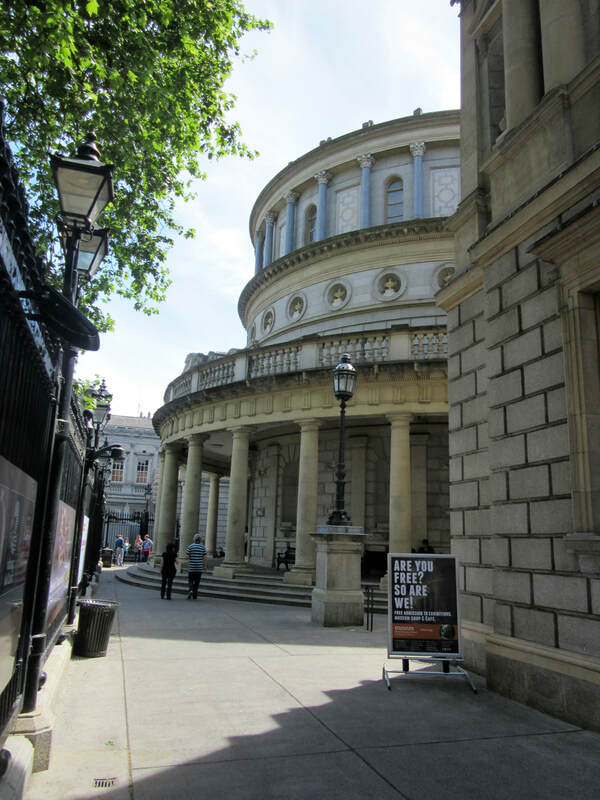 This article provides a sampling of Dublin's most famous attractions. Many of the city's attractions are in the city center within walking distance of each other. Some, like the Guinness Storehouse, while still in the city are a little further away. However, hop-on, hop-off buses and public transportation bring them within range. There are also attractions located in the outskirts of the city such as Malahide Castle and the Powerscourt Estate (see separate feature). These often require a tour coach or a taxi. Above: The Spire of Dublin (official name: Monument of Light) is on O'Connell Street, Dublin's main throughfare, north of the River Liffey. It is made of stainless steel and at 398 feet (121.2 meters), the Spire is the world's tallest structure. 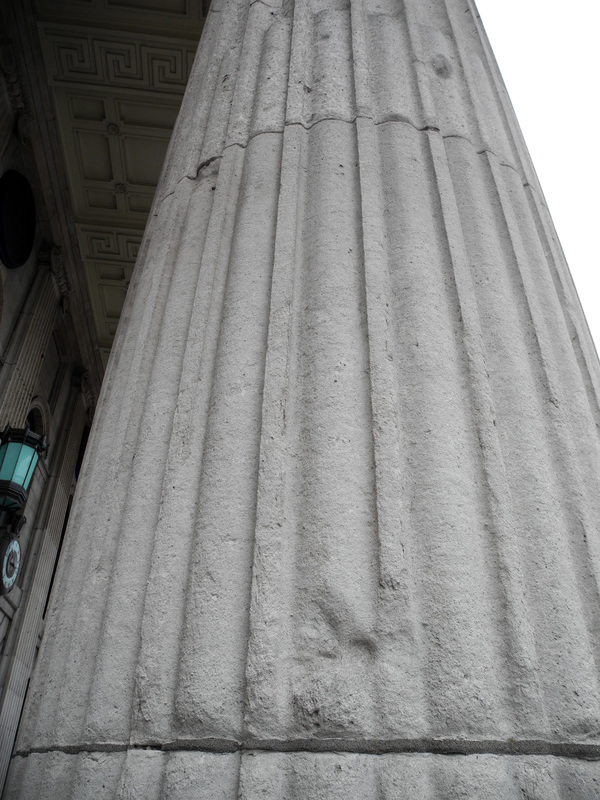 Completed in 2003, it is on the site of the Nelson Pillar, which was destroyed in an IRA bombing in 1966. 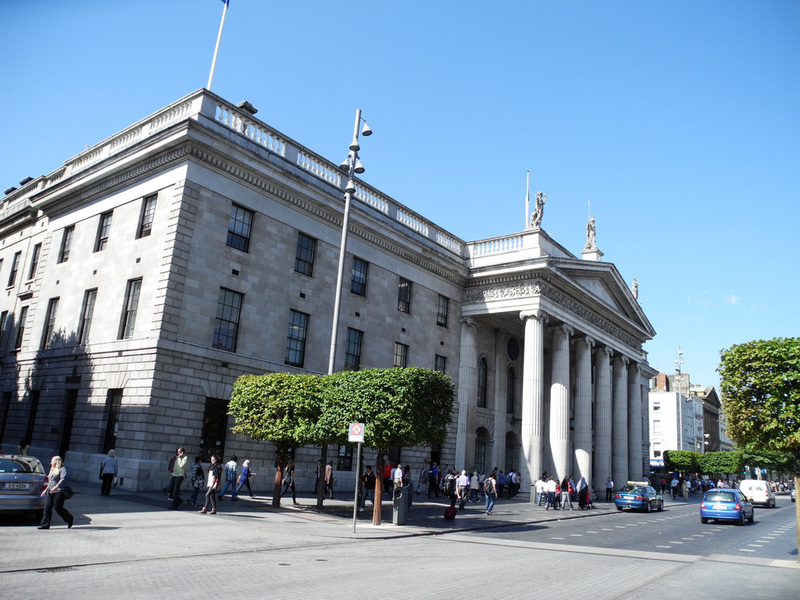 Near the Spire of Dublin is the General Post Office. Most passers-by walk past without notice but this building played the equivalent role in Irish history that Lexington and Concord played in American History. The Post Office was the headquarters of the leaders of the 1916 Easter Rising, the event that eventually led to Irish independence from Great Britain. Bullet and shell scars from the battle can still be seen on the building's facade. 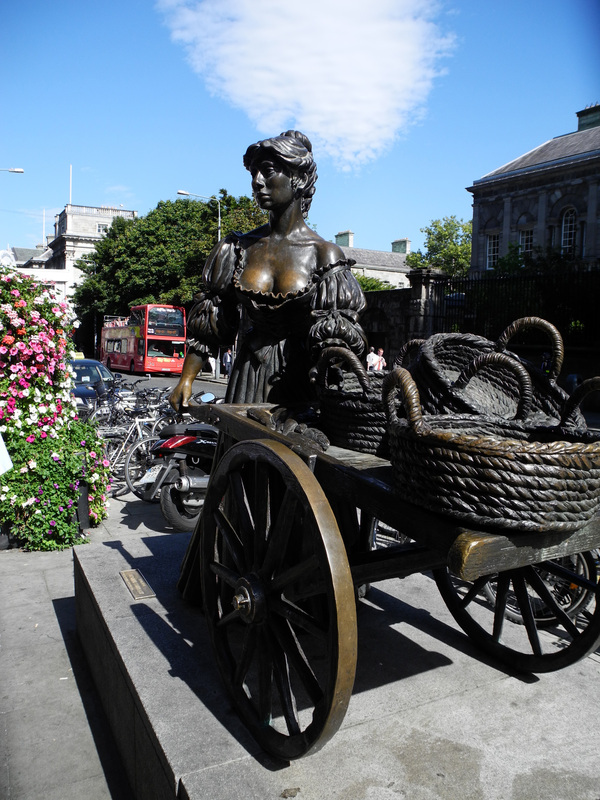 Dublin is punctuated by numerous statues including statues of historic figures such as nationalist leader Daniel O'Connell on O'Connell Street (above) and of figures from folklore such as that of Molly Malone, which is south of the Liffey near Trinity College (right). 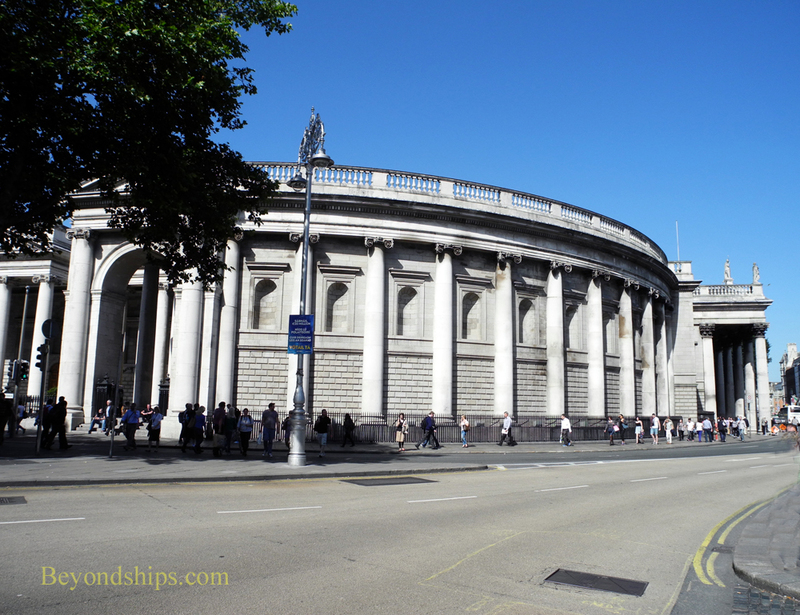 Lying between the statues of O'Connell and Molly Malone is the Bank of Ireland Building (left). The significance of this building is not so much its long time ownership by the Bank (since 1803) but rather because it was the world's first two chamber parliament house. In the 18th century, Ireland was officially the Kingdom of Ireland. The same person that was King of Great Britain was also the King of Ireland. However, Ireland had its own parliament with its own House of Lords and House of Commons. This building was built for this parliament. The Irish Parliament was merged into the British Parliament in 1801. 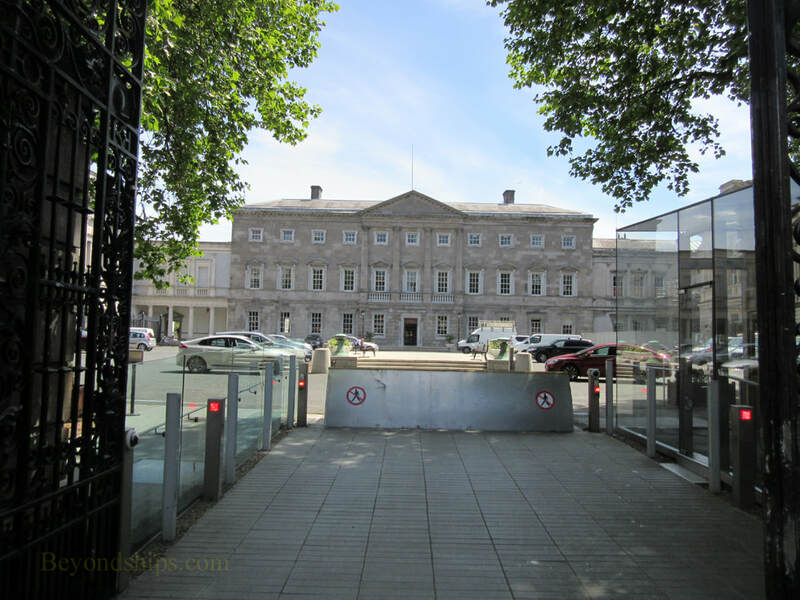 However, despite having some rather undemocratic flaws, the Irish Parliament and its building have remained a symbol of Irish self-government. 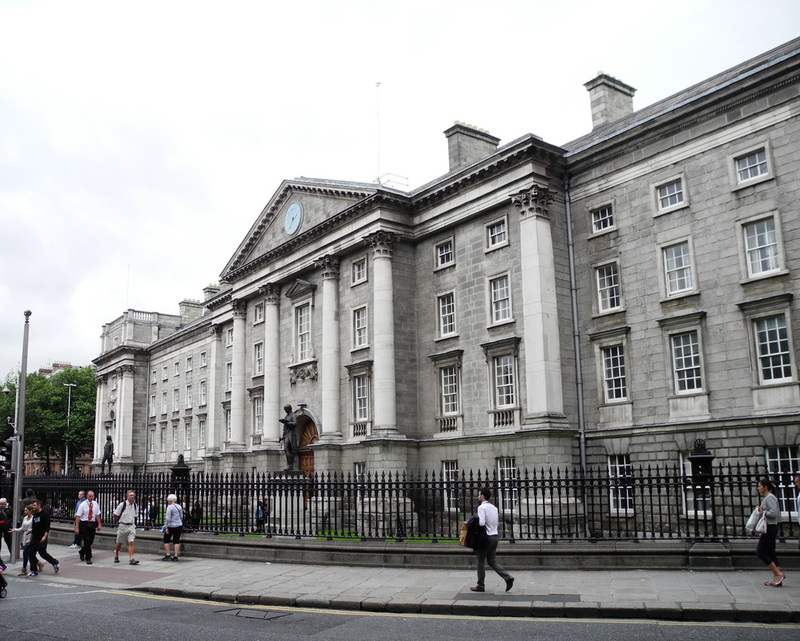 Across from the Bank of Ireland Building is Trinity College. 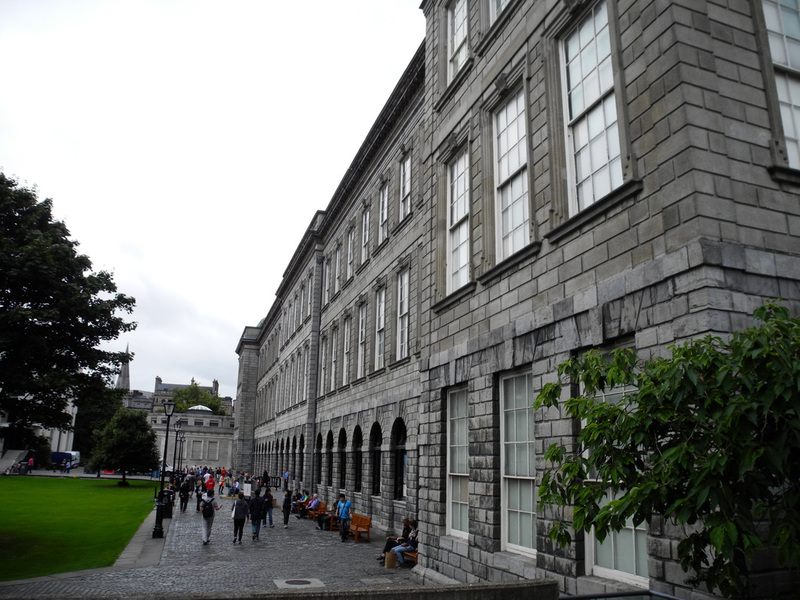 (It is the only constituent college of the University of Dublin and so the two names are often used interchangeably). Trinity was founded in 1592 by Queen Elizabeth I. 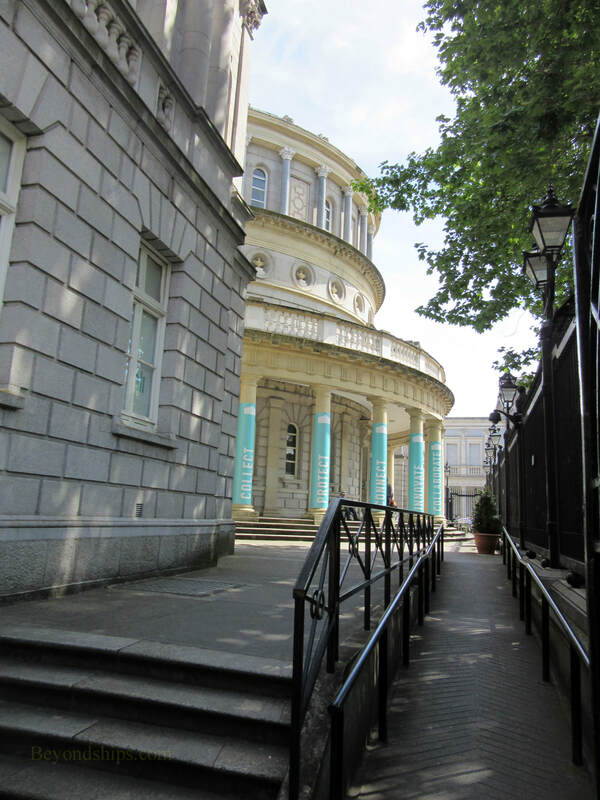 For most of its existence, it was a protestant university, part of the Anglo-Irish establishment. However, today it is open to men and women of all religious beliefs. Between the two is Lenister House, home of the Irish Parliament.